Dr. Kaye Terry Hanson graduated from Brigham Young University with a BA in English, an MA in Theater and German, and a PhD in Theater History and German. 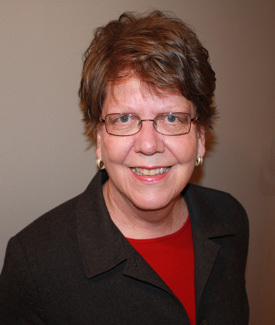 Dr. Hanson retired in 2008 from the faculty of the BYU Marriott School of Management, where she taught communications, business, and religion to graduate and undergraduate students. Hanson served in multiple positions in the Marriott School, including director of public relations and associate director of the MBA program. Hanson taught at BYU for twenty-seven years in a variety of departments, teaching New Testament, Book of Mormon, and theater history. Dr. Hanson served for nearly three years as the Associate Director of BYU’s Jerusalem Center in Israel. She served a full-time mission to Germany for The Church of Jesus Christ of Latter-day Saints as a young woman, and recently completed another mission to Europe, where she trained local leaders and young people in 32 countries on opening Centers for Young Adults for the Church. She previously served on the Young Women General Board of the Church. Dr. Hanson co-edited Finding God at BYU, a book about remarkable stories of emerging faith in faculty and students. She is a co-author of Say It Right: A Guide to Effective Oral Business Presentations.